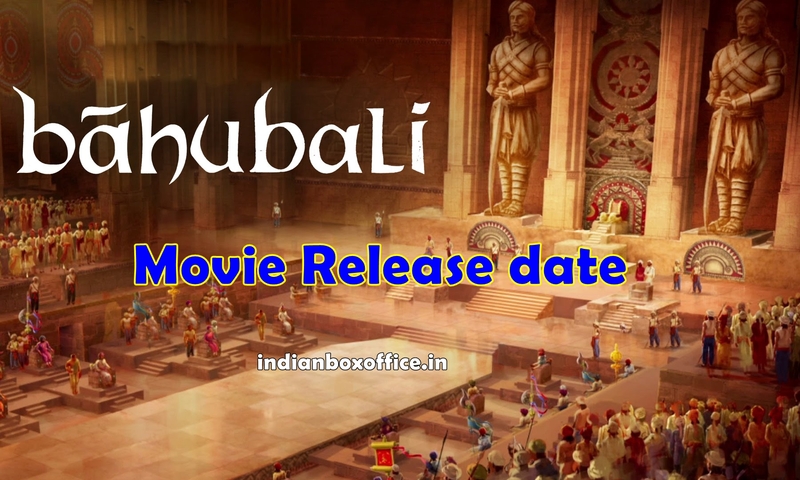 Baahubali is undoubtedly the most prestigious project that has come out of Tollywood in the recent times. Directed by the genius Rajamouli, this film has Prabhas, Tamannah, Rana and Anushka in lead roles. Touted as the biggest motion picture in India, Baahubali has hit thescreens today. Let’s see whether it lives up to its hype or not. Shivudu(Prabhas) is brought up by some native villagers. He grows up with special skills which turn out to be a mystery for every one. One fine day, he spots Avantika(Tamanna) and falls in love with her. As time passes by, he comes to know that she and her group are trying hard to rescue the royal princes Devasena(Anushka) from the evil clutches of Bhalaladeva(Rana). Shivudu decides to help Avanitka and enters the Mahishmati Kingdom. As soon as he lands there, he comes to know that he has a past associated with both Mahishmati and Bhalaladeva. What is that past ? What does Shivudu have to do with Mahishmati ? Who is Shivudu in real life. To know answers to these questions, you need to watch the film on the big screen. As you start watching Baahubali, one thing that hits you instantly is the scale of this magnum opus. The extravagant sets, spectacular visuals and the sheer magnitude has not been showcased in any Indian film before. One cannot shy away to laud Rajamouli for thinking something this huge and also executing it on such a mammoth scale. The war sequences and the way they have been executed are in true Hollywood style. 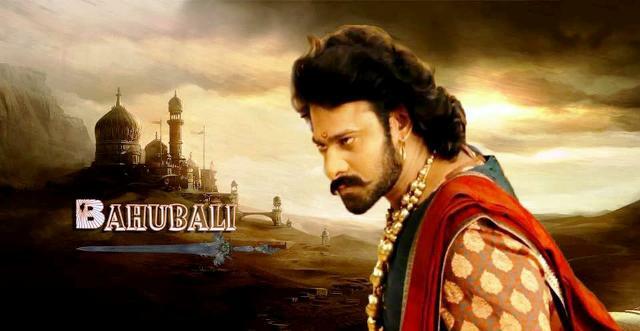 Prabhas is terrific in a dual role and is the apt choice as Baahubali. No one except him could have done justice to the role which is larger than life and has many heroic moments. His sheer screen presence and emotional performance will be immensely loved by his fans. As expected, Rana is menacing as the baddie Bhalaladeva. This is a dream role for him and he gives a top notch performance as the bad guy. It is quite surprising to see the amount of detailing that has gone into every aspect of this film. What catches your attention right away are the terrific visual effects. There are certain scenes in the film which will just leave you spell bound. Tamanna is gorgeous as Avantika and plays her part well. Ramya Krishna is elegant as Shivagami and brings a lot of depth to the film. Nasser and Satyaraj play their roles perfectly. Second half of the film has a lot of emotions which elevate the film to another level. The story line of Baahubali is quite routine and predictable. The actual film kick starts only during the second half and ends abruptly which might leave you a bit unhappy. Anushka has nothing much to do in the film as her character will be revealed only during the second part. Certain war sequences have been dragged out and could have been trimmed to decrease the run time. There is so much hype surrounding the film that certain unwanted songs side tracks the film. The romance between Prabhas and Tamanna also looks exaggerated at times. Where do I start from in this section. Baahubali is by far the most technically brilliant film that has come out from Indian cinema. Each and every frame in the film is sheer magic. The sets, VFX work and graphics are just out of this world. One should be really proud to see such grand visuals especially in a Telugu film. Music is decent but the background score could have been better. Next in line is the art direction. Sabu Cyril has done a marvelous job with the sets. Be it the palace sets, the kingdom surroundings or the warfare equipment, everything looks impressive. Senthil Kumar’s camera work is mind blowing. His awesome visuals are nicely complimented by the stunning VFX. The water fall scenes and some shots during the fight sequence with Kaalakeya have been executed brilliantly. The way Rajamouli has conceptualized the visuals will be a learning lesson for a generation of aspiring film makers. Even though Rajamouli’s screenplay dips a bit here and there, his larger than life approach is what makes this film such a visual treat. On the whole, Baahubali is one film which every Indian movie lover can be extremely proud off. Right from the word go, this visual extravaganza treats you to some never before seen elements in Indian films. Prabhas’s stunning avatar as Baahubali, brilliant art work to some eye topping visuals effects, this film has it all. Genius director Rajamouli, should be lauded and supported for his dedication in taking Telugu cinema to the next level. Finally, if you ignore the predictable story line and keep your expectations in check, Baahubali is bound to entertain you big time.